Kick off your visit on the 5th (Sun): stroll around Roma Street Parkland and then let little ones run wild at South Bank Parklands. 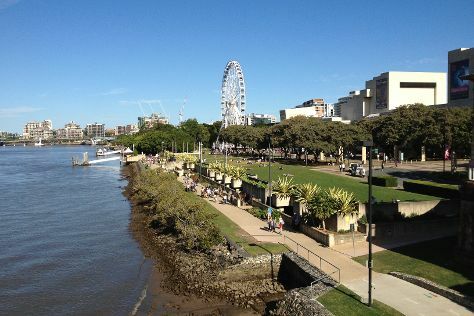 To see other places to visit, where to stay, ratings, and other tourist information, read our Brisbane day trip site . If you are flying in from Malaysia, the closest major airports are Brisbane International Airport and Gold Coast Airport. Expect a daytime high around 27°C in May, and nighttime lows around 15°C. Cap off your sightseeing on the 5th (Sun) early enough to travel back home.